looks like an eggplant alr8. 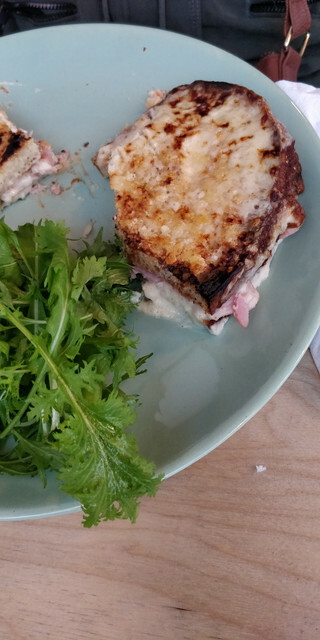 anybody had any nice croques recently? I'l be honest BongY, no. here's one i posted before. would have been better with only one egg but the setup underneath was very good. washed down with a couple of glasses of red, i can't think of a better way to start the morning. walking around midtown last week it was disappointing to see this place has closed down. pigalle on 8th ave. no croque for you!! Tidy looking bit a gear there.